Just like in the star-crossed love stories(read fairytales) we all heard with swoony eyes of our childhood, Canadian radio and TV personality Marilyn Denis loved someone, then was estranged for a whopping forty years, but then with the turn of fate got engaged to him. 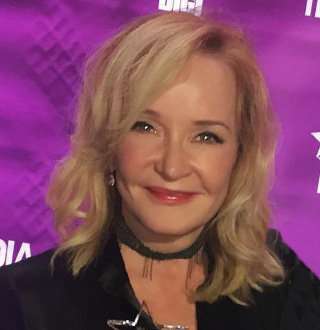 The Canada-native is famous as the host of long-running radio show Roger, and Marilyn (previously Roger, Rick, and Marilyn) and her own Television show The Marilyn Denis Show. Marilyn has a very healthy habit, with adequate sleep, regular work out, and healthy food habits. For a person who once was slightly overweight, she has achieved a considerable amount of weight loss. Although born in Edmonton, Canada on 1 July 1958, the radio personality Marilyn Denis grew up in Pittsburgh, Pennsylvania. Interested in broadcasting from an early age, she went on to get her bachelor’s degree in radio, television, and advertising from the University of Idaho. You Might Like: Nastia Liukin Age 28 & Fiance, Reason To Halt Wedding; Something Fishy? She later got an honorary Ph.D. in the humane letter from The University of Idaho. Beginning her career at a local radio station in Moscow, Idaho, Marilyn, later, moved to Calgary, Canada to work for CJAY-FM. Her most popular radio program, however, is CHUM-FM’s morning show Roger and Marilyn, for which she has been for over 42 years from 1986 until now. Furthermore, while at Calgary, she also worked for CFCN-TV as an entertainment reporter and weather announcer, thus starting her television journey parallel to her radio career. In her television career, she has worked as a host of talk show Cityline for 19 years. Shortly after leaving Cityline, she started her own show, The Marilyn Dennis Show. On 13 April 1988, when her career was only just taking off, she gave birth to her son Adam Wylde. She divorced her then-husband soon after and raised her son alone as a working mother. And it seems that she has done a great job, as Adam has followed his mother’s footsteps into radio-broadcasting. He is best known as the host of the Blake and Wylde Show in KiSS 92.5. As of now, Adam is a married man of 30 years of age. On 8 May this year, Marilyn announced that she was engaged to her high-school sweetheart and prom date, Jim. Apparently, forty years before becoming her fiance and then husband, Jim took Marilyn on a high-school prom date. After that, due to varying circumstances, the couple lost touch. Fast forward forty years: Marilyn and Jim meet again and reconnect, and as if nothing had changed become fiances, then husband and wife. As a perfect conclusion to the star-crossed love story, they got married about a month after being engaged on 21 June in a spectacular wedding. Who could have thought that Jim and Marilyn would find their way to each other after forty years, let alone become husband and wife in their sixties? But they did, as unbelievable as that might sound. It seems as if the star-crossed love stories exist even in real life! Philip Rucker Bio: Married Life & Wife Details, Why Is He Called Gay?